This is number 13 and I am wary. It is unforgiveable but I have an irrational trait. I am superstitious. I avoid walking under ladders and believe that the rituals I observe on certain days have an important impact on the fortunes of Liverpool Football Club. I am also aware that Hitchens has died recently and has powerful friends who will not appreciate a serious man of such intellectual consequence being discussed in this context. But a challenge is a challenge and I have my responsibilities. Why the comparison makes me so nervous is odd because I had no such inhibitions about comparing Elvis to Isaac Newton in Treat Me Nice. A book, though, allows for the use of plenty of caveats and Newton has been dead for nearly 400 years. It makes a difference. Not everybody needs a hero but plenty of us do have that requirement and I have belonged with them since I heard my first rock and roll record and watched ‘Stagecoach’ every Christmas on TV. For a long while Christopher Hitchens was a hero of mine and he may still be although he has disappointed me and others. Originally, I admired him because he had the ability, if I can quote Mark Cousins in his recent documentary series ‘The Story Of Film’, to ‘talk to power’. He understood that the modulated langauge of the well-dressed powerful often concealed callous utilitarianism and that the motives they gave themselves usually denied ambition much more cynical. 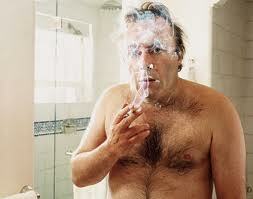 Like Elvis at his best, Hitchens was not intimidated by the establishment and neither should he have been. He understood them because he was created by the best of their institutions. This permitted a withering tone that lacerated opponents. He was also self-destructive or, this time to quote footballer Alan Shearer about the citizens of his native city, he enjoyed life. So the similarities with Elvis do exist. These are supreme talent, recklessness and a determination to prove that no one is better than him. Oddly, when they are listed that way these traits do not appear contradictory. So maybe neither man is the paradox that sympathetic observers have assumed. 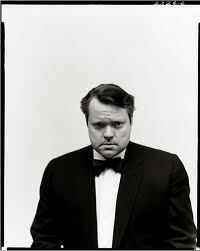 Indeed, although some may baulk at comparing Elvis and Hitchens, if we add Orson Welles to the group we have three individuals who had similar capabilities. All established themselves as unique contributors, they became as famous as anyone else in their field and each had that overpowering desire to put their hand too close to the fire. They also had style and none were boring. Many of his columns were written after heavy drinking sessions or while he was enduring hangovers so Hitchens like Elvis and Welles could be casual about the impact of compromises on his work. These three are considered by many to have made serious mistakes and their biggest critics were often those who had been their champions at the beginning. Orson Welles lost fans when they realised he could be wayward, Elvis alienated those who he had originally persuaded that rock and roll was so powerful it had to be supreme and Hitchens angered the left with his support for liberal military interventions. The argument surrounding the latter has been bitter as any dispute in any rock and roll club over which aesthetic should remain supreme. If this example is interpreted as trivial they obviously missed Rumfords in Liverpool in the early eighties. Rumfords used to have a rock and roll night every Sunday. The crowd was split between those who supported rockabilly, often members of the National Front, and those who believed in rhythm and blues, these usually belonged to the Militant Tendency in the Labour party. Elvis, as always, straddled both. The atmosphere, although rarely violent, was not pleasant. But he was a lot cleverer than the rest of us and I gave him the benefit of the doubt as I did Elvis when I first heard his live albums in the seventies. I assumed that his weak vocals at Madison Square Garden were a consequence of him being recorded in large hall. Later, I realised I was wrong. Similarly, I assumed that Christopher Hitchens was nothing if not intellectually consistent. But then he praised George Bush as a talented President and spoke of his admiration for the man. This was the same President who at the time was happily diverting money from the poor to rich. When the failure and horror of Iraq became all too obvious and two thirds of that group of mindless, trendy lefties known as the American people stated they were against the invasion he still argued he was right. I became less charitable to him. At the beginning, reading him, I felt he was on the side of the powerless and against the powerful. Now, I am not so sure and I have my suspicion that his main concern he shares with his right wing brother, Peter. What annoys them both is not the fate of the powerless but the standards and manners of the powerful. This is not as awful as it sounds because it is still easy to admire the singularity of both men. My sensibility just happens to be different to them. And I think that is where the difference exists between Elvis, Orson Welles, Chritopher Hitchens and their fiercest detractors. They appear to be on the same side as their critics but they do not share their sensibilities. Perhaps it is no more than they were just poor at belonging to wider movements. This is not intended to waive away their mistakes. I have never forgiven Welles for the movie ‘Confidential Report’, was depressed by the visit of Elvis to Richard Nixon and believe that Hitchens was nowhere near squeamish enough about war and its consequences. He argued for morality but my weak stomach tells me that moral war results in just as many burnt babies as the cynical ventures. So, do these three men qualify as heroes? In ‘Treat Me Nice’ I quoted what the film critic, David Thomson, said about Orson Welles. ‘He inhaled legend and changed the way we breathed.’ I argued this applied to Elvis and I think Hitchens, for all my misgivings, belongs in this category. All men had an irresponsibility that disappointed me but all embraced myth. I envy them and, if I am honest, I probably still need them. Very very interesting. I would never think of comparing the two, even though, strangely enough, I just blogged about Hitchens. Elvis was my idol, of course, but it feels like the comparison is somehow forced. Elvis was original and then sold out. Hitch was original, and whether we agree with him or not, did not compromise to the end. I feel sorry for Elvis, for many of his choices were uninformed ones. Hitchens was anything if ill informed. As to his opinions on wars (which I disagree with), the fact is that unlike many of us, he did witness it as a reporter. Agree the comparison is forced but at the risk of me being defensive the point of the challenge is for me to make a connection to Elvis whatever the subject. It does not exist for me to argue that Elvis is really like everything and everyone. That would be impossible. We agree about Hitchens’ opinions on wars and I did say he was admirable. His experience of war was important but his willingness to experience American ‘interrogation’ methods and then admit they constituted torture was also impressive. Now going to read your blog on Hitchens. Hmmm… Elvis was not a sold out, only his concerts were. That’s for Ms. Bar. As for Mr. Jackson, both Elvis and Hitchens, had the guts to be true to themselves, and they were more right in their “wrongs” than the average public person is in their “right”. They both grew and developed, and while Elvis’ voice became strong and powerful.., you only have to hear his late gospel material, sang from deep within him, in the midst of the 70’s music scene.., Hitchens, saw what in his eyes was the closing circle for the liberation of Kurdistan, a cause he followed and supported for decades, before your average person even realized Iraq existed, and made it their banner for home protests, while Hitchens frequently risked his safety to see for himself the people he wrote, debated about and fought for, in all of the war infested and oppressed countries he went into, full headed, as journalist. But, I sure know that when Elvis and Hitchens expired, an ample sigh of relief, coupled with a satisfactory grin, drew from the mediocre and the envious. 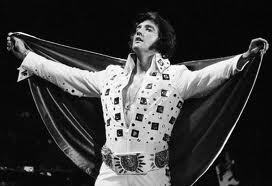 The racists, the obvious ones, and the masked, who hated Elvis for creating a synthesis of American culture through music, that sent shockwaves and influenced the world, and the complacent, who regardless of their morality shows, only make sure to be on the side that throws the bombs and sends out the troops. Amen and Halleluyah to that…, brothers.., sisters and comrades.